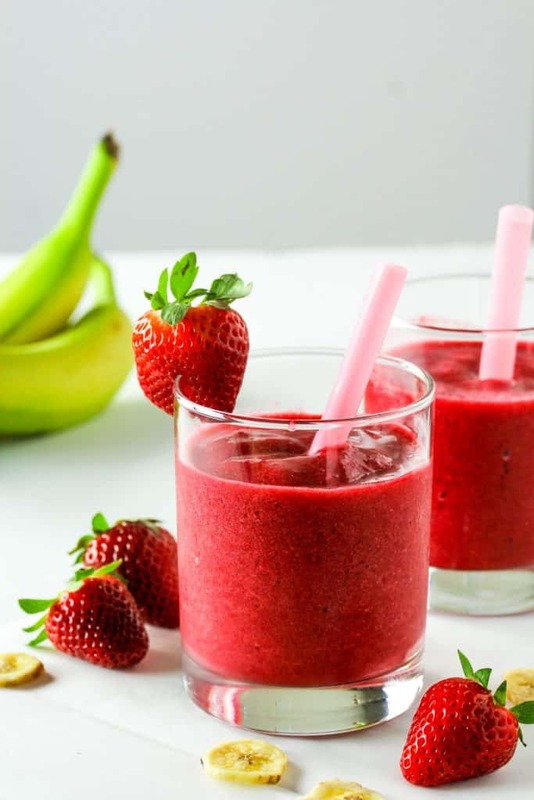 Part of the reason you can’t mess this protein packed smoothie up if you tried is because, while I’ve given you measurement, they’re pretty much a guide that you can play around with and adjust to your liking. Want to try a different fruit combo? Go for it! Like a super thick, almost milkshake like smoothie? Throw some extra ice cubes in there! 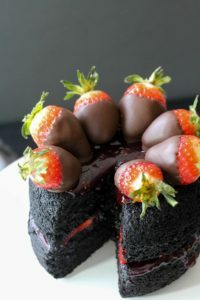 Want something sweeter? Add some of your favorite sweetener! But there are a few things about the sweetness level to mention. One of the great things about using a ripe banana is that it’s got a lot of natural sweetness in it already, so if you’ve got a big ol’ sweet tooth this is gonna work in your favor! If you’re playing around with flavor combos or just not a huge banana fan, you’re probably going to want to add in some of your fave sweetener. Give it a taste before you add it though. 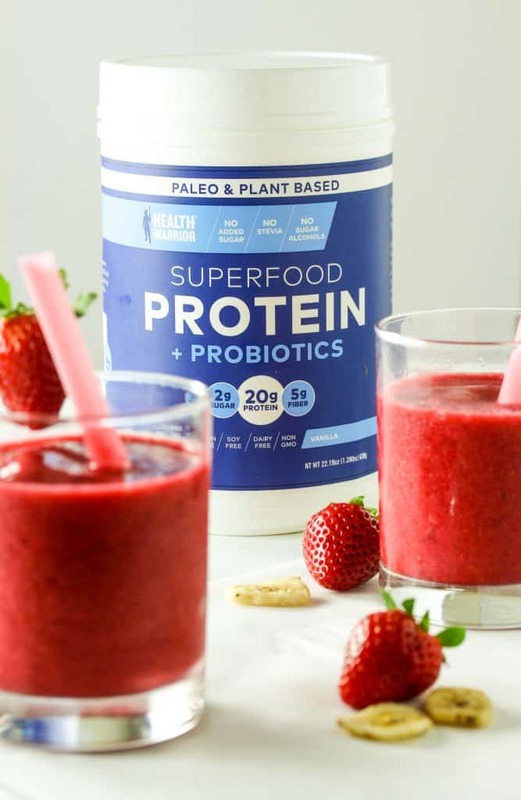 Besides being packed with whole foods, protein, omega-3s and lots of other health benefits, Health Warrior’s Superfood protein powder also has some sweetness to it. If you’re not crazy about really sweet things, the protein powder alone might be enough for you. The choice is yours! 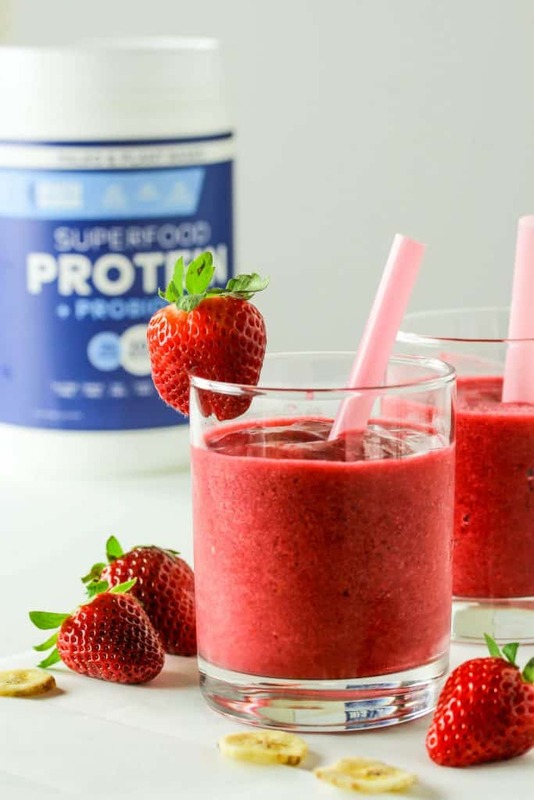 Did I mention this high protein smoothie is fool proof!? 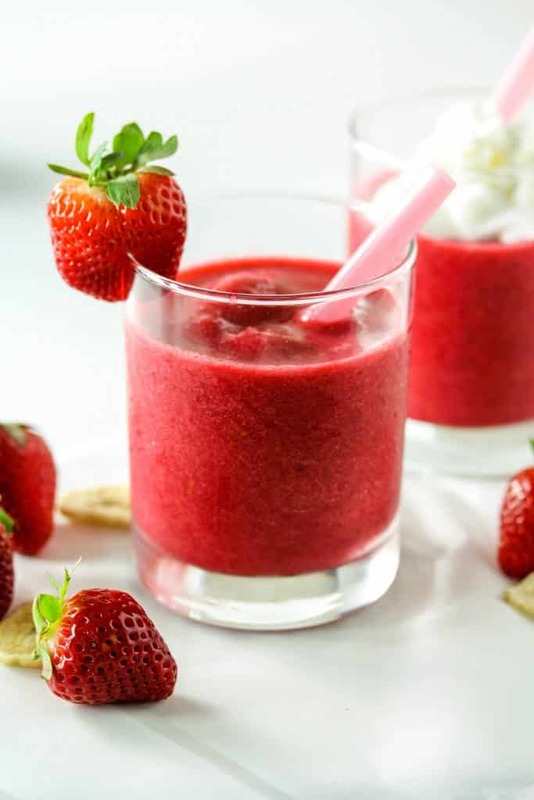 In a high speed blender, add the milk and protein powder. Give it a quick whiz to mix them together and dissolve the protein powder. 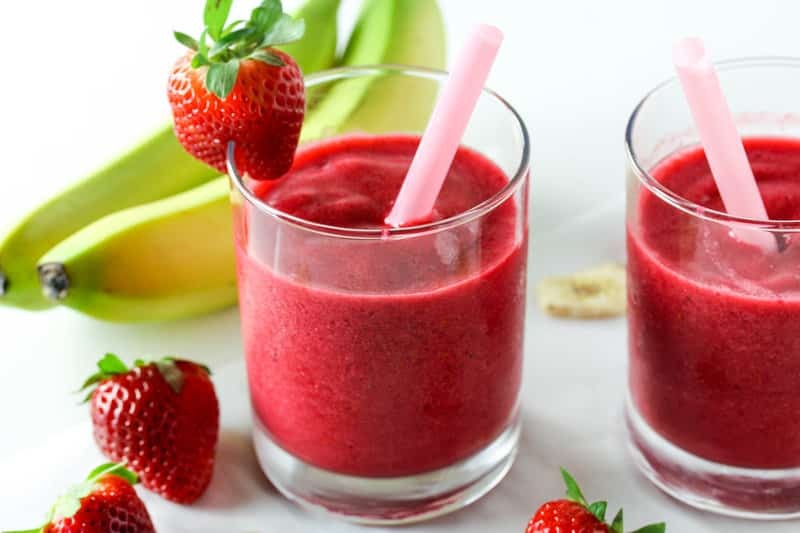 Add the frozen strawberries and banana to the blender. Blend until smooth. 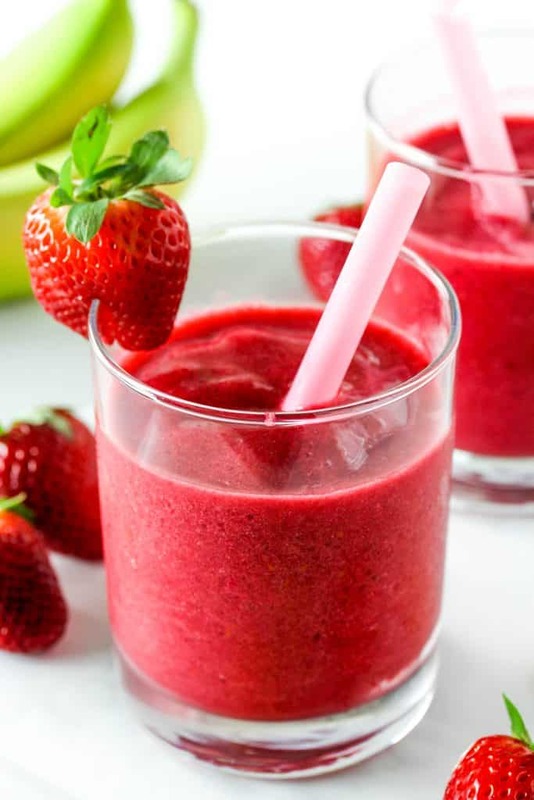 Give the smoothie a taste and add any additional sweetener of choice until you get the amount of sweetness you want. Add a few ice cubes at a time, blending in between, until you get your desired consistency and thickness.